Life can be challenging! One of the most courageous choices one can make is to embark on the journey towards personal exploration and growth. As a therapist, my job is to help you access your inner wisdom, navigate relationships and change, and create a fulfilling, balanced life. I find that my clients are often equipped with strengths and talents that they do not give themselves credit for. I aim to help you recognize and strengthen these gifts in order to fully participate in and enjoy the world around you. I bring authenticity, humor and compassion into each session. I strive to cultivate a warm, nonjudgmental space for you to heal from your past, accept your present and enhance your future. Amanda grew up in the Midwest and attended college at the University of Iowa where she studied sociology. She moved to Austin to attend graduate school at The University of Texas- Austin. 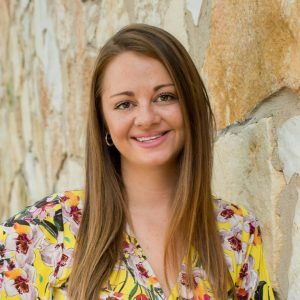 Amanda draws from an eclectic mix of clinical approaches including modern psychoanalysis, CBT, DBT, ACT and mindfulness to deliver personalized interventions to her clients. She has extensive experience working with eating disorders, anxiety and depression management, impulsivity, and life transitions. She enjoys working with both adolescents and adults. In her free time, Amanda enjoys yoga, traveling and taking her dog on adventures. Whether you prefer to meet in her office or take a walk by the lake, Amanda invites you to share your unique experience with her.